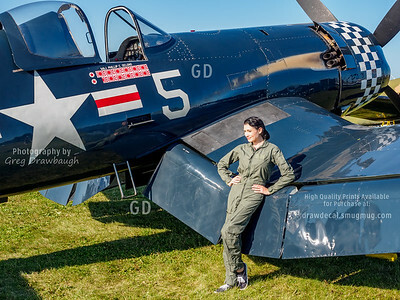 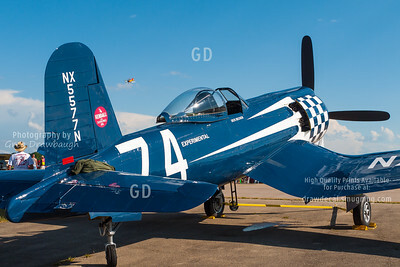 This lovely young lady was at EAA2015 with F4U-5 owned by Fighters & Legends, LLC of Greenwood, Mississippi. 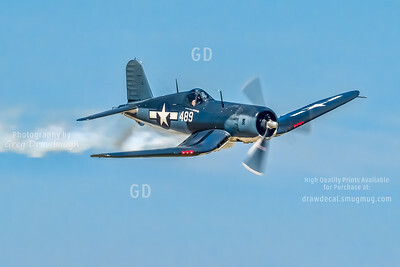 Making a classic photo pass, Texas Flying Legends FG-1D Corsair "Whistling Death"
From Oshkosh 2013, owner and pilot Jim Tobul fuels his Vought F4U-4 "Korean War Hero" Corsair. 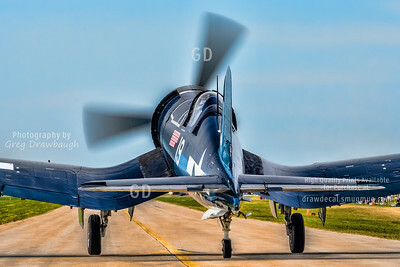 Vought F4U-5 Corsair N179PT at Oshkosh 2011. 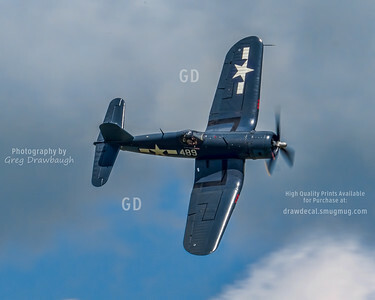 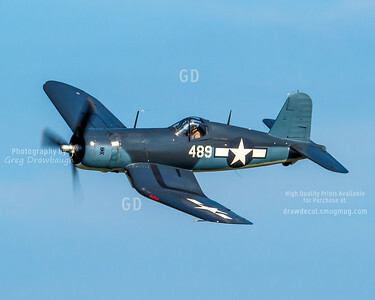 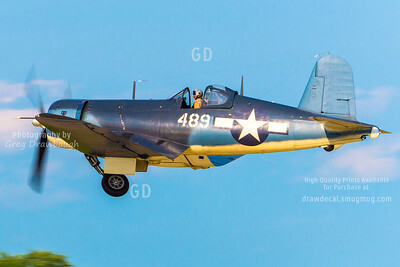 This Corsair is owned by Fighters & Legends, LLC of Greenwood, Mississippi. 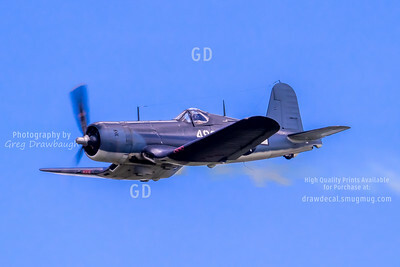 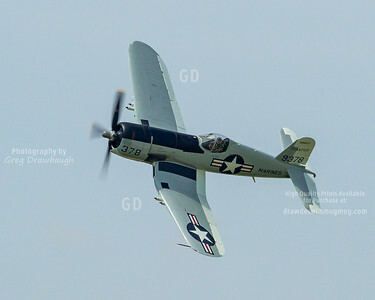 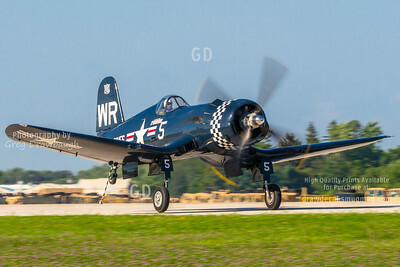 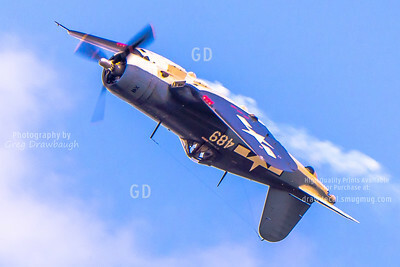 Texas Flying Legends FG-1D Corsair rolls while in hot pursuit after a Zero at Oshkosh 2014. 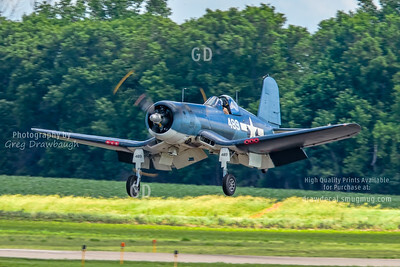 Texas Flying Legends FG-1D Corsair launches after a Zero at Oshkosh 2014. 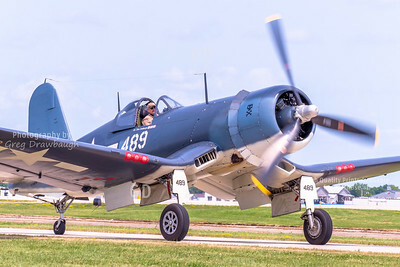 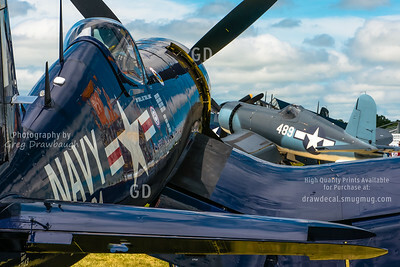 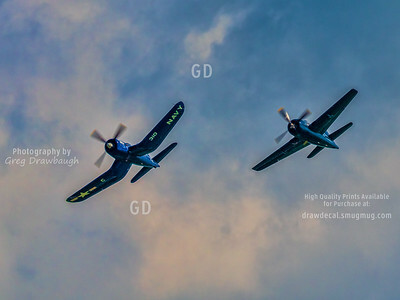 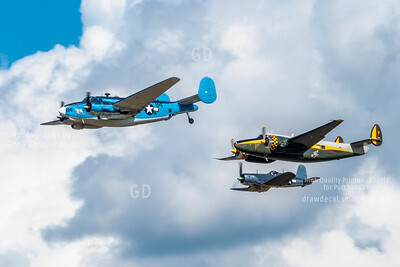 Texas Flying Legends FG-1D Corsair taxis by at Oshkosh 2014. 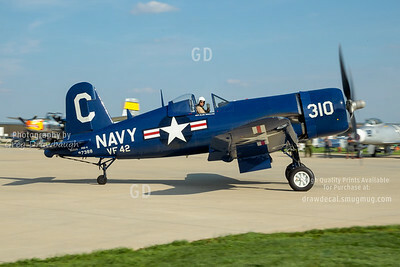 F2G-2 "Super Corsair" at Oshkosh 2012. 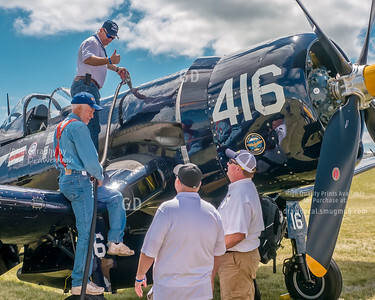 This exceptionally rare 4360-powered Corsair and the man who restored it from the ground up were tragically lost in a fatal accident on September 7, 2012 while practicing for an airshow outside Fargo , North Dakota, rest in peace Bob Odegaard who can be seen here just left of the tail as he watches Gene Soucy perform his routine.